[Lalish, Ezidikhan, Iraq. December 4, 2018] Ezidikhan Prime Minister Barjis Soso Khalaf “rejects most emphatically” as “political extortion” the Kurdish Regional Government and Iraqi Government demand that the Ezidikhan Governing Council retract its 16 November Resolution charging the Kurdish government with acts of genocide and the Iraqi and US governments complicity in those acts. 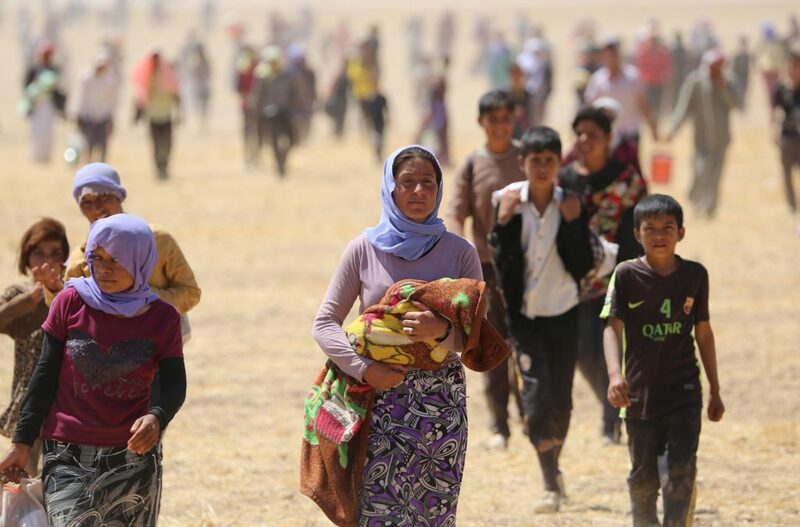 The Ezidikhan government has received reports that the Kurdish government has expanded on its acts of genocide by the forced removal of Yezidi orphans to “Christian homes” instead of placing these children with Yezidi families. The Kurdish government is also continuing to open Ezidikhan lands to occupation by Arabic peoples near Dohuk without the authorization of the Ezidikhan government. These are further acts of genocide for which the Kurdish government and now the Iraqi government must be held accountable. In an obvious attempt to extort the retraction of genocide, the Iraqi government has said it will take no more Ezidikhan lands if the Governing Council withdraws charges against the Kurdish Regional Government. Iraq has held out an offer to Ezidikhan that, if Ezidikhan will retract its denunciations of Iraq and the United States, as being complicit in the KRG’s acts of genocide against Yezidis, then no additional lands would be taken from Ezidikhan. The Iraqi demand to the Ezidikhan Prime Minister requires that he sign a statement saying “there is no genocide” and that Ezidikhan will no longer pursue self-government or democratically conducted negotiations with Iraq to establish constructive relations between the government of Ezidikhan and the government of Iraq. This is rejected. The Ezidikhan government remains committed to defending its people against genocide and crimes against the peoples of Ezidikhan.